Former Samaria Regional Council head harshly criticized Yaalon after he blamed Israel for the murder of the Henkin family. 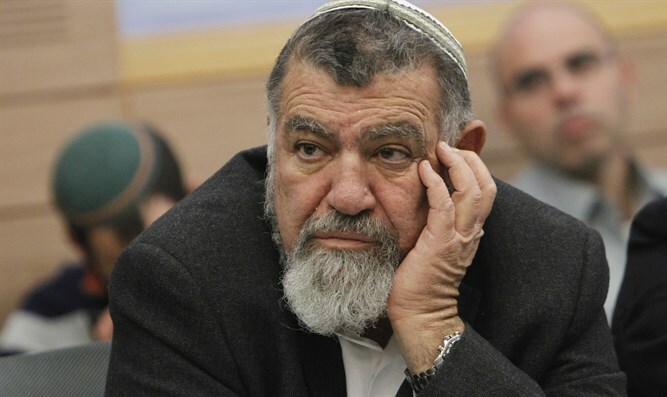 Former Samaria Regional Council head Gershon Mesika harshly criticized Moshe Yaalon, after he said that "the blood of the murdered Henkin family is on our hands." According to Mesika, the Arabs never needed an excuse to commit acts of terror. "Ya'alon's ridiculous claim is inconsistent with reality," wrote Mesika on Facebook. "The Arabs have never sought a reason to harm Jews. On the contrary, they kill Jews whenever they have the chance, and thousands of Jews killed would testify that what he said was nonsense." Yaalon had said on Saturday that Israel was responsible for the 2015 attack that killed Eitam and Naama Henkin near the village of Elon Moreh. In a recording released Sunday by the Galei Yisrael radio station, Yaalon said that the atmosphere of incitement caused the 'price tag' attack in Duma, which Yaalon said led terrorists to perpetuate the Henkin attack in revenge. According to Mesika, Yaalon enabled the terrorists to kill the Henkins by granting them access to a road that was previously restricted to Jews. "At the beginning of the Intifada, it was decided to set up a checkpoint at the entrance to Beit Dagan so that the access road to Elon Moreh was open only to Jews" said Mesika. Mesika described that half a year before the shooting attack in which the Henkin family was killed, "Moshe Ya'alon and Central Command head Major General Nitzan Alon irresponsibly decided to open the route out of consideration for the Arabs, and to save them a few kilometers." "Despite my pleas and warnings that the direct result of opening the route to the Arabs would lead to the murder of Jews, as the bitter reality did show, my words unfortunately fell on deaf ears and the road remained open. Indeed, a few months later, the Henkin couple were murdered on the same route." "This killing could have been prevented" concluded Mesika. Likud MK Oren Hazan also blasted Yaalon for his remarks. "Is there any limit to Yaalons cynicism? He will do anyhting to remind us that he exists," he tweeted.